Pop Quiz: Who directs the oldest Anglican church music conference in the United States? You’re very own St. John’s Director of Music and Organist, Kevin Simons, that’s who! Sewanee TN, is not only the alma matter of our rector, Fr. 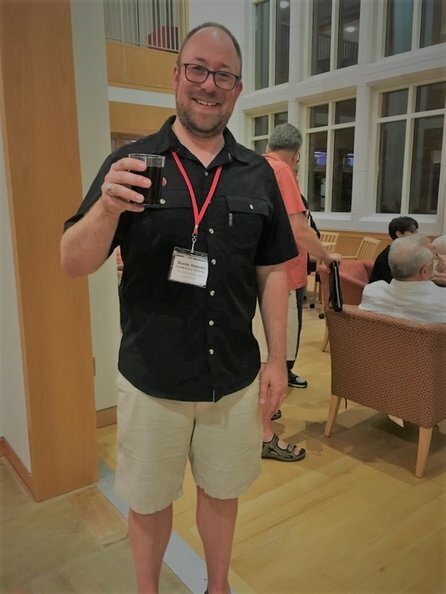 Curt but also the host of the nation’s long-established Sewanee Church Music Conference, which has been under the directorship of our very own Kevin Simons for the past two years. During the SCMC, conferees make a pilgrimage to what is affectionately referred to as “the Holy Mountain” to spend a week with nationally recognized musicians and clergy, attend workshops and lead worship services. You may recognize one or two of this year’s faculty members which include: Barbara Crafton+ (priest, author, and one of the many ground-zero chaplains on during the September 11th attacks), Peter Conte (Choirmaster and organist of St. Clement’s Church in Philadelphia, Pennsylvania and Grand Court Organist of Macy’s world-famous Wanamaker Organ), and Todd Wilson (Organist and artist-in-residence, Trinity Cathedral in Cleveland, Ohio and head of the organ department at the Cleveland Institute of Music). Also attending this year is St. John’s Choral Scholar, Tyler Morse. Tune into our Facebook page for more photos and updates from the 2017 SCMC!